This stunning pre owned 26mm ladies Rolex Datejust has a watch case along with jubilee bracelet in 18ct rose gold and steel whilst the rose dial has roman numeral hour markers. 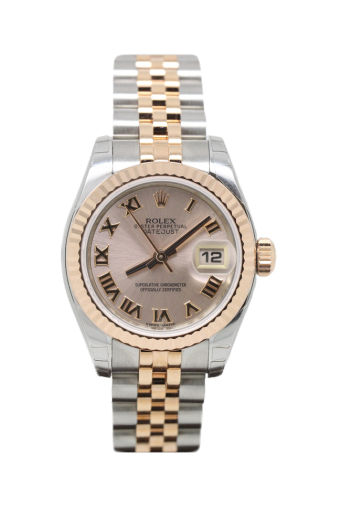 The 18ct rose gold bezel is the classic Rolex fluted design. Cheshire Watch Company are supplying this watch complete with Rolex box.